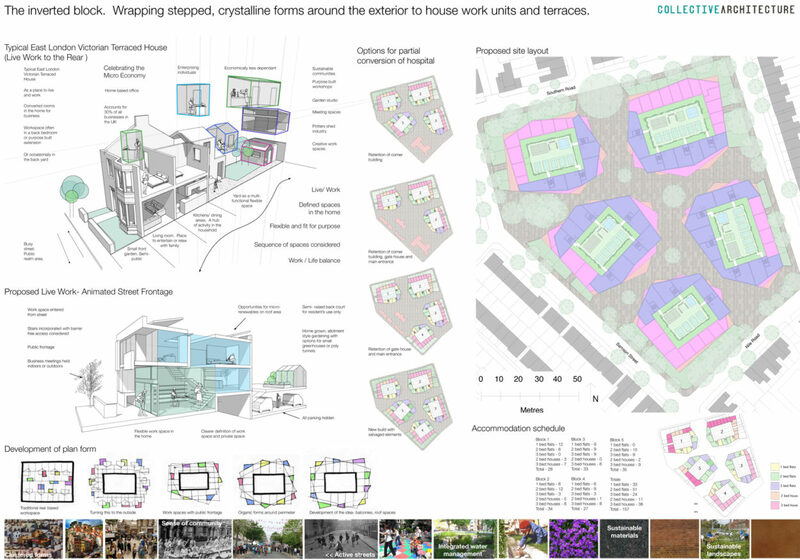 Sited on the former grounds of Plaistow Hospital, the brief called for an exemplar housing development of approximately 150 homes across the four-acre site. 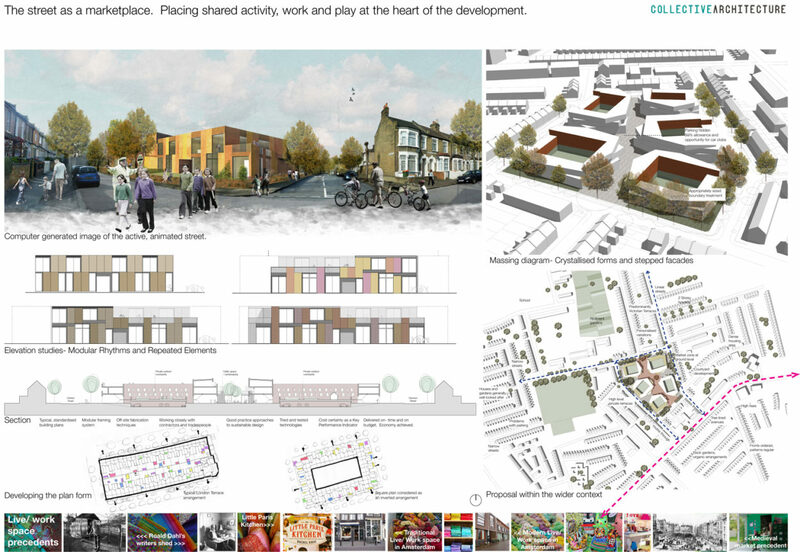 Our approach was to explore the street as a marketplace and place shared activity at the heart of the development. Through analysis of a typical Victorian House we were able to explore the concept of the home as a place to live and work. The proposal presented the “inverted block” demonstrating methods of converting rooms within the home for business and delivering sustainable communities with animated street frontages. Development of the traditional block to the inverted block showcases wrapped stepped, crystalline forms around the exterior to house work units and terraces. The organic form around the perimeter created further opportunities for private balconies, canopies and roof terraces.